If you’ve ever been to a blogging conference, you know bloggers like nothing better than getting together,in person, with other bloggers to talk shop. They just seem to come alive—laughing, comparing notes, teaching each other little tricks of the trade, asking the “really really” questions they might hesitate to post in a Facebook group, swapping newly printed business cards, and hugging strangers whose faces they recognize from Twitter avatars. It’s a pretty cool, energizing experience. But attending conferences isn’t cheap. Between registration and travel expenses, you might have to pony up $500 to $1,500 to participate in one blog conference. At the same time, most bloggers aren’t exactly diving into pools filled with cash like Scrooge McDuck from all their earnings and ad revenue. So how can you enjoy such magical moments of offline networking and professional growth, without going into debt or having to travel long distances? 1. Leverage a system that already works. Creating, growing, and managing an active local group with meetings, members, etc. requires enough effort as it is. I don’t recommend reinventing the wheel by creating your own customized system. I chose Meetup.com, the world’s largest network of local groups, because they make it so darn easy. From setting up your group to inviting people to join to promoting your events, Meetup has the whole thing down to a science. All you have to do is plug in your details and they’ll do the rest. One caveat: Meetup does charge a fee to organize a group (joining the site as a member is free). Learn more about their pricing options to see what this would cost in your area. To offset the organizer fee, you could get sponsors or ask your members to chip in. In my case, I was able to get my employer to foot the bill, because my job involves partnering with bloggers for the Ahalogy Content Network. If you prefer a free system, Meetup alternatives to check out include: Eventbrite, Plancast, and Ticketleap. 2. Draft an agenda for your group. WHO will be welcome and invited to join? I decided to keep our Meetup open to anyone in the Cincinnati area who considers themselves bloggers—regardless of experience, platform, or niche. You might want to make your Meetup more specific. Remember, as you narrow your focus, you also shrink your potential membership pool. WHAT will your events consist of? I wanted our Meetup to include the same aspects I like best about blogging conferences: a blend of education, networking, and fun. Each 90-minute monthly Meetup begins with time for refreshments while getting to know each other, followed by an informative, engaging speaker and lively discussion. WHERE will your group meet? Our Meetup location was a no-brainer for me, since my company happens to be the sponsor. Also, our office is centrally located, with plenty of parking and accommodations for groups and presentations. 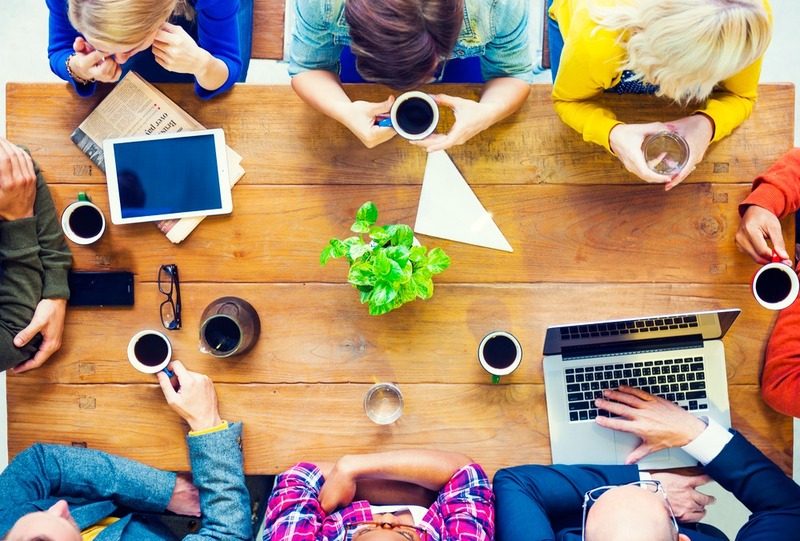 If you don’t have a place to offer up, check out thesehelpful tips to find a good Meetup venue. WHEN are your events going to be held? I chose a recurring day of the month to host our Meetups, simply to make events predictable for members and easier for me to plan. You’ll need to decide how often your group should meet, and which day/time works best for your potential members. WHY are you organizing this group? As I mentioned, it takes more than a little time and energy (not to mention moolah) to make a Meetup successful. Make sure you know why you’re putting in the effort, and what you hope to get out of it. In my case, Meetups help me recruit new bloggers for the Ahalogy Content Network, as well as get valuable feedback on ideas, product features, and other work-related initiatives. Not to mention, I truly enjoy getting to know other bloggers in the area and helping them get connected and learn new skills. 3. Get support from relevant existing groups or networks. This step isn’t mandatory, and may not even be possible if you live in an area where no similar types of groups exist (yet!) If you happen to know of any organizations or Meetups whose members might make good candidates for your new group, reach out to the organizers. Invite them to join and attend, and, if they’re so inclined, spread the word about your Meetup. I was fortunate to be part of an active Facebook group for Cincinnati bloggers. One of the group’s admins, Nedra McDaniel of Adventure Mom, kindly offered to support and promote this Meetup as an offline, in-person way for our Facebook group members to interact. Her advocacy, along with others in the group, has really helped get the word out and grow our membership/attendance. 4. Plan, announce, and promote events in advance. The more detailed you can be about each Meetup, and the sooner you can invite members to attend, the better your chances for hosting a successful event. I gave our members nearly two months’ advance notice of a Meetup featuring a local WordPress expert, along with key information about the speaker. Not coincidentally, that event was our best-attended one yet. If you wait until just days beforehand to share your topic and invite people, you might find a lighter-than-usual crowd showing up. Just because you’re the organizer doesn’t mean you have to do everything for your Meetup. I like to encourage members to freely participate, give feedback, and volunteer in the future. Bloggers often have a specialty or focus area they love to talk about, so perhaps your next speaker can be a current member who happens to eat and breathe SEO or livestreaming. Maybe one of your members has access to a local brand or business, and wants to hook you up with a special Meetup venue, sponsorship, or other perk. The only way to know is by asking. You might be surprised how well-connected and helpful your Meetup members can be! 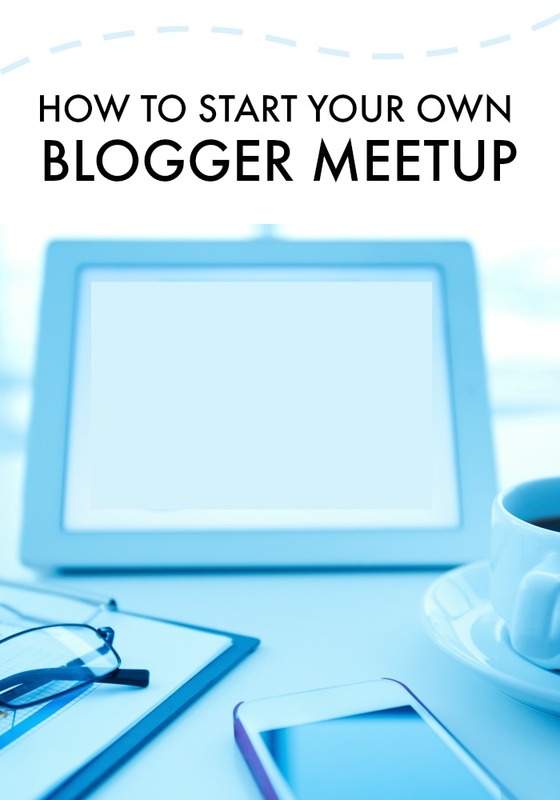 If you decide to start your own blogger Meetup group, good luck and enjoy the journey! I’ve found the endeavor to be well worth my time investment. It’s a little like having your own regular blogging mini-conference—right in your own backyard.